书籍简介: So what does it take to be a successful entrepreneur? There are many different answers, but according to Karan Bilimoria, founder of Cobra Beer, do the following and you won't go far wrong: be creative, go the extra mile, have confidence in yourself and your team, get lucky, be disciplined, take the long-term view, learn constantly and don't be afraid of serious amounts of hard work. A Cambridge law graduate, Karan Bilimoria started his career somewhat incongruously as a chartered accountant at Ernst & Young. He was also Sales & Marketing Director at European Accounting Focus Magazine. Also incongruously, it was approximately a year later that he began to realise his vision for a less gassy, premium quality lager brewed to appeal to ale drinkers and lager drinkers alike. At the time, Karan was 27 years old and with £20,000 of student debt. 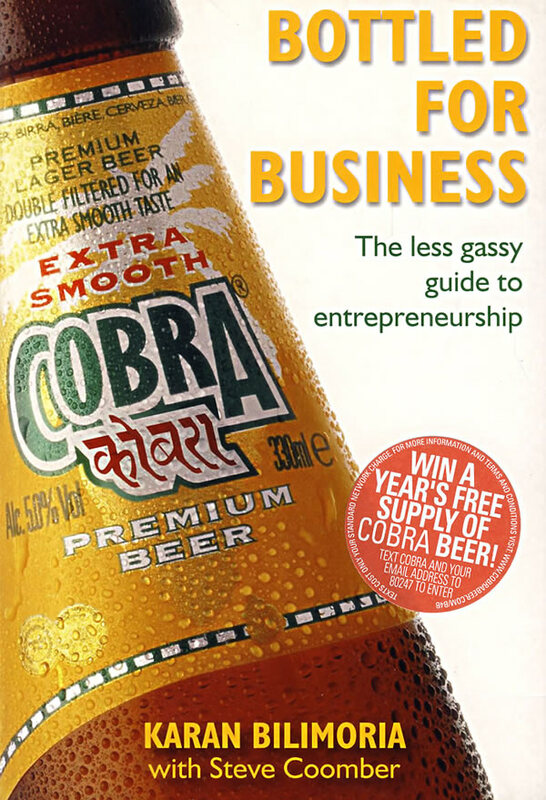 Since founding Cobra Beer, Karan has also expanded his product range to include General Bilimoria Wines in 1999, and founding Tandoori Magazine and curryzone.com. He is a member of the government’s National Employment Panel, and Chairman of The Panel’s Small and Medium-Sized Enterprise Board. He is also Vice Chairman of the London Chamber of Commerce and Industry’s Asian Business Association.